Sussex County is a county located in the southern third of Delaware on the Delmarva Peninsula. The county is largely characterized by its strength in agriculture, however the seaside location of the county also affords residents plenty of fun and excitement at the county’s beaches. According to the latest census there are approximately 206,649 residents who live throughout the area of Sussex County. The U.S. Census Bureau reports the area of Sussex County covers approximately 1,196 square miles of land, however a significant portion of that area, 260 square miles, is water. Delaware’s establishment as one of the original 13 colonies is evident today in the breakdown of its counties. Sussex County, in addition to the state’s other two counties, is subdivided into 11 smaller geographic areas referred to as Hundreds. The unit was a popular method of dividing regions and may have referred to the number of homesteads or soldiers within a given area. Agriculture is an extremely important factor in the economy of Sussex County. According to county data, approximately 45 percent of the county’s land consists of 1,374 farms. Of the 270,000 acres dedicated to agricultural use, over 35,000 acres of farms are permanently preserved for agriculture. Sussex County is the number one producer and exporter of chickens, with more than 210 million birds produced annually. Crops such as lima beans are also an important part of the agricultural economy. The area is also the No. 1 lima bean producer in the country with 6,300 acres dedicated to growing lima beans. In addition to agriculture, Sussex County has a strong manufacturing workforce. Some of the top employers in the county include PATS Aircraft, Merck Animal Health and Invista, a producer of specialty materials such as nylon, spandex and polyester. 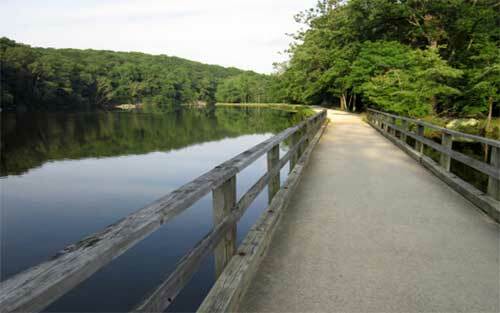 Sussex County has no major metropolitan areas and very few large population centers, making the peaceful region rather easy to get around. The county has three major highways: Route 1, Route 13 and Route 113. There is also an extensive network of public transportation that makes getting to the Mid-Atlantic’s more populous regions low on hassle and cost. 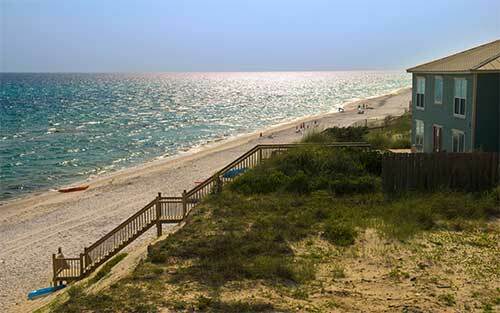 Some of the most important attractions in Sussex County are its stunning beaches on the shores of the Atlantic Ocean. Delaware’s beaches rank among the cleanest in the entire country and oceanside towns such as Rehoboth Beach offer much more with vibrant nightlife, restaurants, golf courses, fishing and tax-free shopping. Tourism along the county’s 30 miles of oceanfront real estate is also an important portion of the Sussex County economy. This area of the county accounts for approximately 15,000 jobs in service, hospitality, retail and entertainment, providing an eclectic range of employment possibilities for area home owners. The laid-back but fun-loving spirit of Sussex County is evident in some of the county’s most popular festivals. Some of the more notable festivals are the Bethany Beach Jazz Funeral, which is a seasonal send-off held at the end of summer, and the Apple Scrapple Festival, which is a weekend-long ode to two important agricultural products in Sussex County: apples and scrapple, a type of meatloaf.